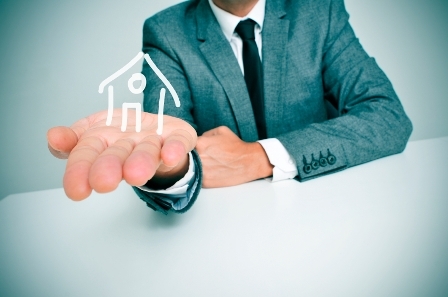 Will the new regulations really protect syndicated mortgage investors? Early in March, the Canadian Securities Administrators (CSA) proposed changes to the rules governing the sale of syndicated mortgages in order to protect investors. The planned amendments introduce a common regulatory approach for syndicated mortgages across the country. Under the changes, prospectus and registration exemptions that currently apply to syndicated mortgages in certain jurisdictions would be removed. With this, investors would benefit from the potential involvement of a registrant. For CSA chair and president Louis Morisset, these measures would "enhance investors’ ability to make informed decisions when purchasing these investments”. Additionally, the proposed amendments would include revisions to the offering memorandum exemption to provide heightened disclosure for investors. "Under this proposal, issuers would be required to deliver property appraisals prepared by an independent, qualified appraiser," CSA said in a statement. Furthermore, syndicated mortgages would no longer fall under the private issuer exemption based on the proposed changes. This way, they will be offered under exemptions, which would be more appropriate for such type of security. More so, exemptions that would allow syndicated mortgages to be sold to retail investors would come with a requirement that a dealer be registered with securities regulators. Despite CSA's promises, many investors who lost tens of thousands in syndicated mortgages are not convinced with the changes, saying these would not do much to help them recoup their losses. In a CBC News Report, investors expressed the limitation of the $60,000 cap the regulator proposes. "What has the government done for us, other than checking our background and limiting our investment? We need more accountability. The government should go after the borrower," an investor told CBC News. The investors said the amendments should also address some borrowers' behaviour. One case involving the Black Bear syndicated mortgages had been reported to the police, who, in response, said: "It was determined this matter may fall under civil or regulatory law but not criminal law." Meanwhile, when the case was brought to the Financial Services Commission of Ontario (FSCO), the decision was made to suspend the licence of the mortgage agent. "He just doesn't renew his licence and that's it? And the whole case is closed? Come on. Penalize them with a fine ... with a big fine," an investor involved in the case said. "We are the basketball being passed around. Nobody wants to help us," said another investor. The Private Capital Markets Association (PCMA) is conducting a webinar on March 15 to hear inputs and comments on the proposed amendments. The webinar takes place on Tuesday, May 15 at 2pm. To find out more click here.